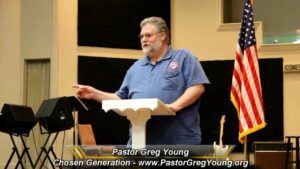 Pastor Greg Young, host of Chosen Generation joins Red State Talk Radio’s lineup! What sets Chosen Generation apart is the unapologetic focus on the principles that made this nation great. We were founded as a Christian nation and unless we turn back to God and ask for His intervention we will not win this battle. Pastor Greg Young is broadcasting Chosen Generation to share and educate and bring about a change to a Godly nation once again. Pastor Greg and The Chosen Generation’s guests help with the dissemination of truth from a biblical perspective. These firm examples bolstered my desire to start Chosen Generation Radio. I felt and still feel very strongly that the Hill Country and Texans as a whole need to be awakened to the fact that Texas is going the way of California. Battleground Texas has already invested nearly $10 million dollars in efforts to turn Texas blue. This all out war on Texas and the values held by our founding fathers must be opposed. What sets Chosen Generation apart is the unapologetic focus on the principles that made this nation great. We were founded as a Christian nation and unless we turn back to God and ask for His intervention we will not win this battle. As you peruse these pages and my blog I pray you will find information to help you engage in this battle. There are far too many examples to list here, but you will see them throughout my posts.